Adm. Karl Schultz, commandant of the U.S. Coast Guard, has said the military service should equip all of its national security cutters with the ScanEagle unmanned aircraft system to aid in maritime operations, Military.com reported Monday. USCG awarded Boeing‘s Insitu subsidiary a $117M contract in June to provide intelligence, surveillance and reconnaissance services to the NSC fleet using the small UAS platform. The branch tested the aerial vehicle onboard the Legend-class USCGC Stratton cutter during a ship deployment effort last year in the Eastern Pacific region. 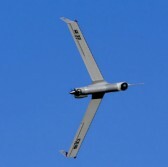 A USCG-tailored version of ScanEagle would measure eight feet long and feature a 16-foot wingspan, the report noted.